We work closely with UK and international counterparts to deliver policy workshops and seminars both in the UK and partner countries. These policy dialogue events provide an opportunity for officials to share experiences and address key issues of interest. We hold regular policy workshops in Berlin, Tokyo and Washington. 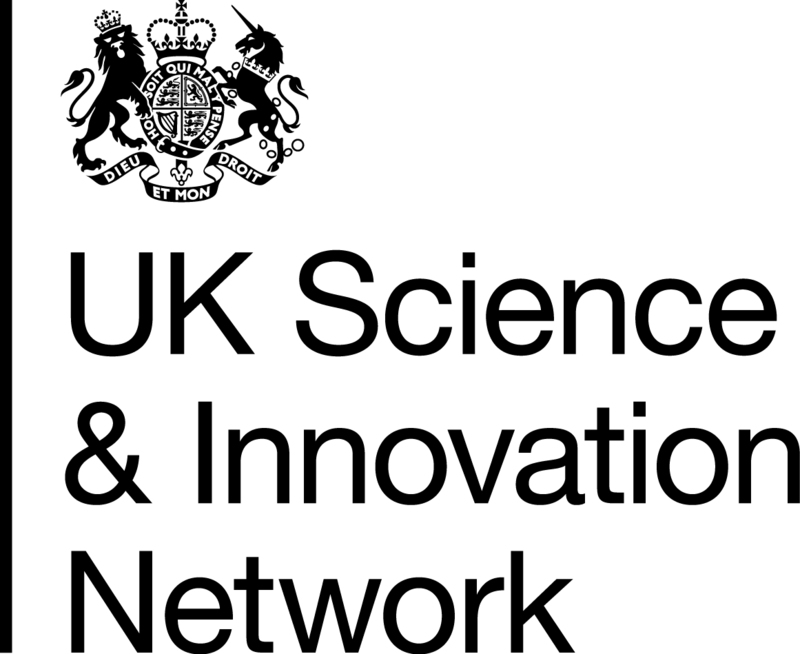 Our series of workshops and seminars is part of an ongoing collaboration between Policy Links and the Centre for Science, Technology & Innovation Policy (CSTI) and the UK Science & Innovation Network . Manufacturing policy development – latest industrial and sector strategies, key national policy priorities, practical lessons in developing cross-agency strategies. Manufacturing policy evidence and foresight – key sources of ‘industrial intelligence’, key trends and drivers affecting industrial competitiveness and value capture, manufacturing futures. 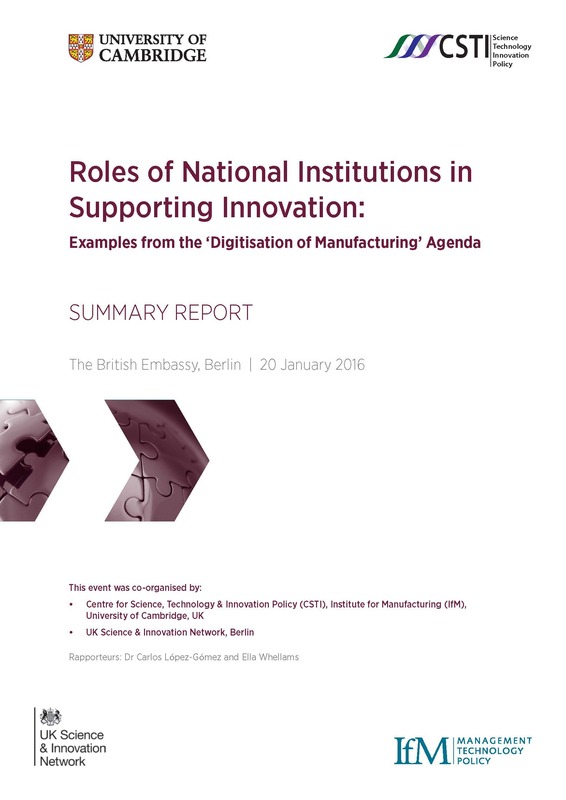 Manufacturing policy institutions – roles and functions of key manufacturing policy-related institutions, including: technology and innovation centres, national academies, university-industry collaborative R&D organisation, and industry associations. This workshop brought together a high profile group of policymakers and practitioners from UK and German institutions to share experiences and identify best practices in implementing innovation policies. 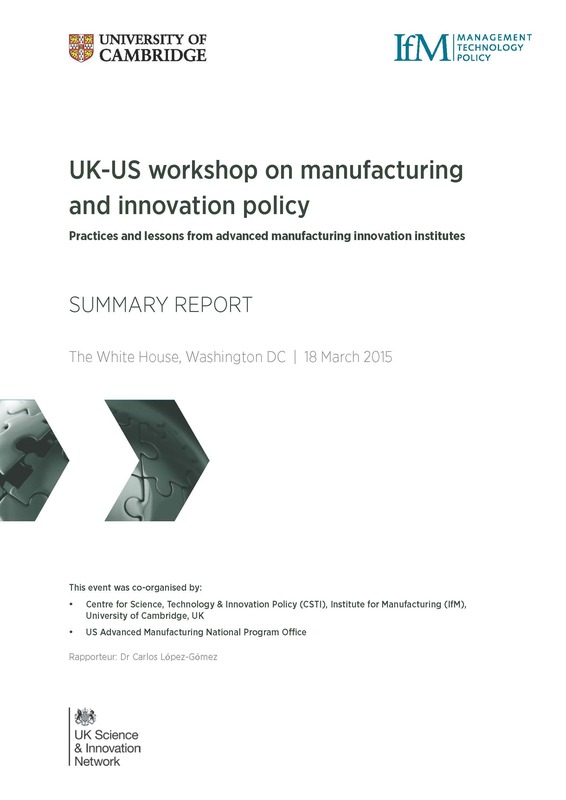 This workshop was held at the White House and brought together senior policy makers and agency officials from the UK and US to discuss manufacturing and innovation policy, with particular focus on technology and innovation centres. 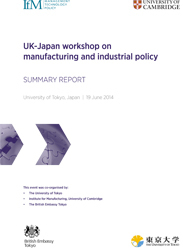 This workshop brought together industrialists, officials and academics involved with manufacturing in the UK and Japan in order to share processes and findings concerning manufacturing futures and to gain a mutual understanding of the national manufacturing policy landscapes including industrial and sectoral strategies and research interfaces with industry. If you would like to discuss opportunities for international collaborations in partnership with Policy Links please get in touch with us.